I know there's already a thread for Club Friday The Series 10 but I wanted to make a separate one for Mo's part. I wasn't happy when I recently found out that Mo would have another mini series, especially one for Club Friday when she was already in season 7. I was thinking to myself that she better either reunite with Toomtam, Jes or Tao OR act with Tor, March, Push or Sean, and that would somewhat make up for it...and it happened. Super excited to finally see Mo with March, one of my dream pairings that I never thought would actually happen. For their first time working together, they already seem comfortable and friendly with each other at the press conference. They're also following each other on IG now. Thanks to @KhoOnxNouxWanxJai for the summary. One day a gay guy was curios if he would be able to date a woman. He goes and posts asking if there are any girls who want to have a boyfriend that is gay. There is someone who is interested, he picks a girl, but he still wants men. est.jpn, Destinys and xcinsationalx like this. One day a gay guy was curious if he would be able to date a woman. He goes and posts asking if there are any girls who want to have a boyfriend that is gay. There is someone who is interested, he picks a girl, but he still wants men. Wait, what? This is such a strange synopsis. Or maybe it's just more so a strange situation. Like the guy knows he's gay but wants to try dating a woman? Does he think he might be bisexual instead? On the flip side, the girl is totally fine with knowingly dating a gay guy? Is she trying to get her parents off her back or something? And using a gay guy to fool them? Lol, so many questions. And since Club Friday is usually based on real-life stories, that means this craziness actually happened to some. Wow. But on the plus side, I am super excited to see March and Mo pair up, if, in fact, that is what this is lol. I'll probably try to check it out though because I like both of them, fingers crossed someone decides to sub this. @Anonymous<3 , I wouldn't be too upset about the mini series case GMM25 series are more likely to be put on international platforms like netflix, more exposure! @xcinsationalx from the press conference he doesn't think that he is bisexual but he just woke up one day and was like "I wonder if a gay person can have a girlfriend." 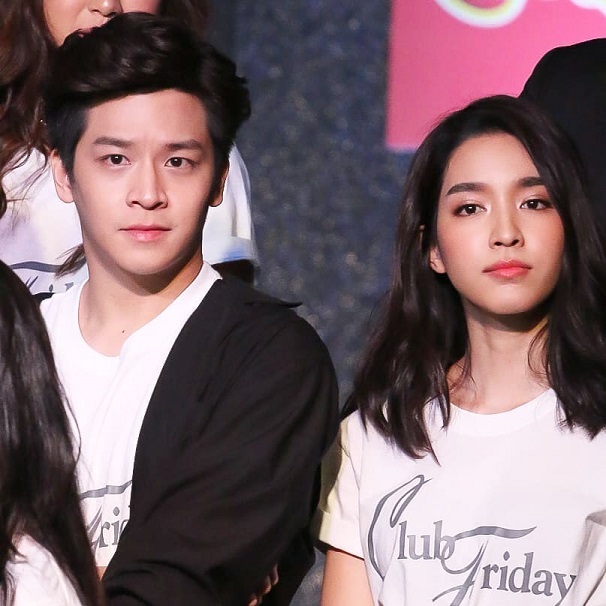 Eh, it feels like another rendition of Push's lakorn where he set to seduce a tomboy and then in the end couldn't and didn't want to be with her. It's a club friday story Push and Jieb Lalana. There is even a to be continued on it, it's on netflix now to lol. Oh, that's the one that's on Netflix? Lol, I started O-Negative when I heard they added it. But I'm not the biggest Push fan and I've never watched Jieb so probably a skip for me. Destinys and Anonymous<3 like this. Whoa 700,000 views in 16 hours. March and Mo are cute but too bad the story doesn't do them justice. Airing February 2. Finally seeing Mo on screen after a year. The only Club Fridays I’ve watched are with Mo haha. I feel like her character accidentally set herself up for heartbreak in this one. She’s gonna end up thinking there was a chance of him becoming a man for her and he might or might not. I’ll definitely sub this one if it isn’t on Netflix first though. I subbed RLJ afterall, might as well do Mo’s other club Friday lol. Wait and see what happens. Wow, March's character is really feminine, I really don't see it working out for March and Mo. Still sad they're not in a typical storyline. @Destinys Wow! Awesome! Thank you so much in advance! It'll probably get picked up by Netflix but that could be another year from now. @xcinsationalx I know, it's too bad. I don't even mind that it's a mini series, at least let them have a real romance. But then again, Club Friday series never work out for the otp regardless. By the way, did you know that Mo is officially with Ch.3 now? Their last day of filming was today. Looks like they're still going to try to provide some fan service for the leads. est.jpn and Destinys like this. Oh really? No, I didn't know she signed with Ch3. I hope they treat her well because now this means she can't work with the other channels. Yeah I'm surprised and a bit disappointed because she was already doing so well and getting so much work with different channels (GMM25, PPTV and Ch.3) in just her first year as freelance. 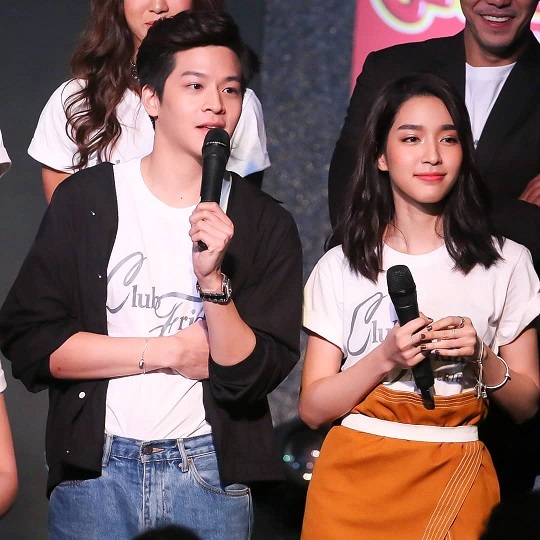 P'Chod, the producer of GMM25, would've continued giving her good leading roles if she signed with them because of the success of Ruk Long Jai. Even as freelance and an actress under one31, she was already one of their favorites and go to actresses among a few others like Baifern and Gypzy Wanida. I noticed that the type GMM25 likes in their nang'eks are actresses on the fierce and more daring side with a Chinese look who are usually petite (i.e. Mo, Baifern, Gypzy, Fon, Jakjaan, Kao, Mook, Cris, Ploy, etc.). Khun Pon, the co-producer of Exact, likely would've offered her lakorns again too if she was still freelance since she remained on good terms with them after ending her contract. She had such a bright future and would've gone far and gotten more experience and challenges-not to mention lead roles, as freelance. 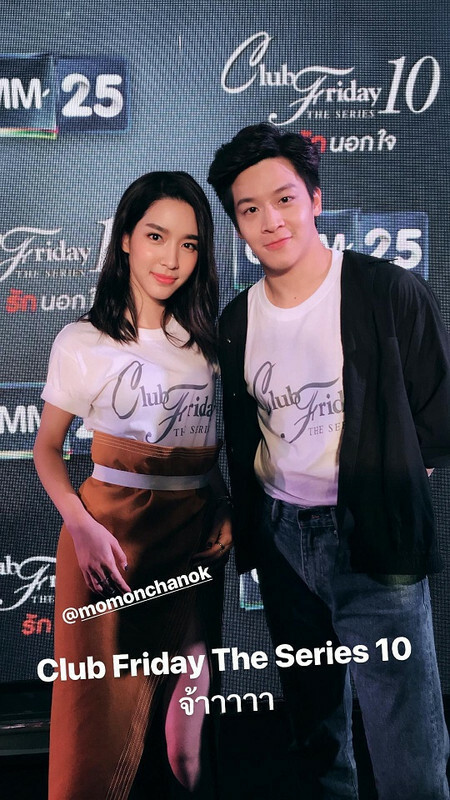 I can't see any reason why she would sign with Ch.3, especially when out of her three upcoming series, Ch.3 were the only ones who cast her as rai in her first lakorn with them. The only possibility is if they offered her a really good contract that was too good to pass up that made her think it was worth giving up her freedom and opportunities as freelance. I'm anxious about her career with them, but I seriously hope my reasoning is right and we'll get good news regarding her new lakorn soon.